This year, we’ll explore stories. The ones we tell ourselves, the ones told to us, and those that we tell each other. Stories are everywhere; they allow us to tackle challenging subjects, entertain while teaching, and give us an opportunity to build deep relationships with the storytellers. Tickets include access to the after party at the Impact Hub from 5pm - 9pm. Tickets for TEDxSantaBarbara are $100. Tickets will be sold on a first-come, first-served basis. A live stream of the event is provided free of charge. 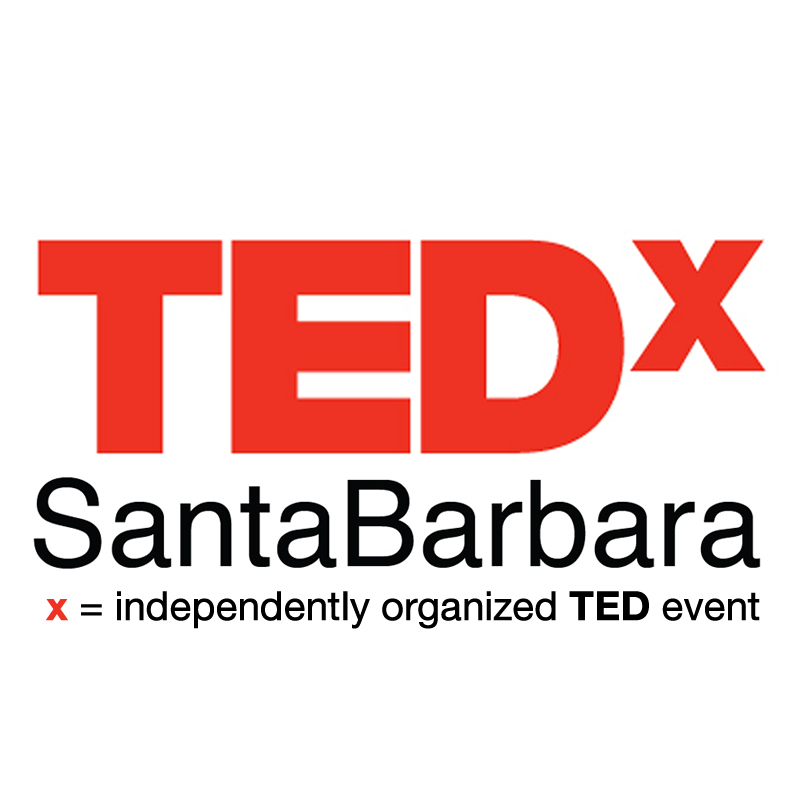 How can I get involved with TEDx Santa Barbara? We encourage community participation and are always looking for people who want to help us with our Mission. Signup to Volunteer HERE. Why isn't TEDxSantaBarbara at a larger venue so more people can attend? We believe that a smaller, more intimate, venue creates a sense of connection between the speaker and the audience. This helps the speaker give the talk of their life. You can watch the show in its entirety from home via our live stream sponsored by LogMeIn. How do I watch the Livesteam of the event? Thanks to our partnership with LogMeIn we are able to provide a free livestream of the show. This is a great way to share the show with out of town friends and family. If purchasing more than one ticket, be sure to provide the FULL Name of each attendee on the checkout page so we can produce a badge for you and each of your guests. Tickets for TEDxSantaBarbara are $100. Tickets will be sold on a first-come, first-served basis beginning August 6th. A live stream of the event is provided free of charge. Thanks to our partnership with LogMeIn we are able to provide a free livestream of the show. This is a great way to share the show with out of town friends and family. We will post the registration link here when we have it. We're looking for a few more awesome Volunteers. Volunteers are the backbone of our TEDxSantaBarara events. We've been very fortunate over the years to have built a team of wonderful and dedicated change agents. We'd love to invite you to apply for our 2019 Volunteer team. We would not be able to produce our event every year without the help of our generous partners. We thank each and every one of you, from the bottom of our hearts!